Could you and your ex uncouple your finances? Uncoupling your finances after years of living, earning and spending together is a massive undertaking. And a financial separation that works for both parties is essential to the emotional wellbeing of all parties, particularly children – but it takes a lot of thought, planning and self-examination. When actress Gwyneth Paltrow and Coldplay frontman Chris Martin announced to the world their separation as a ‘conscious uncoupling’ some accused them of pretending to exist beyond the rules that the rest of us are forced to live by. But whatever you may or may not think of this former A-list power couple, the terminology they used articulated the importance of achieving a holistic, amicable, financial and emotional settlement when two previously-joined people go their separate ways. Achieving an amicable separation is key to the future happiness of both parties, the reality is that you are going to need a settlement that brings financial independence to you both. A non-combative separation will almost certainly be financially better for both of you in the long run too – in 2016, the amount the average divorcing couple spent on lawyers stood at £30,000, according to Seddons, a firm of solicitors. The higher the divorce costs, the less money is left in the pot for you and your ex to carve up. The Money Advice Service suggests opting for a collaborative family lawyer can halve the legal costs. One of the hardest parts of attaining the nirvana of a sustainable conscious uncoupling is fully understanding the financial challenges you and your former partner will face, and dividing the assets in a way that minimises financial risks to both of you. What is worth more, the family home or accrued pension and who will benefit most from each in the future? Is downsizing possible or even desirable? How, if at all, will the party who has stayed at home to look after the children – which was after all a joint decision – increase their earning capacity? Is it possible for both parties attain a living income? Can assets from the relationship be used to rebuild a nonworking spouse’s state pension entitlement? All these issues need to be explored fully, by both parties, looking at these challenges from the perspective of the other. Of course, with emotions inevitably running so high, how many divorcing couples are even able to have the clarity of mind to see things this way? Could those of you have divorced or separated share with us how you went about making the right financial decisions? 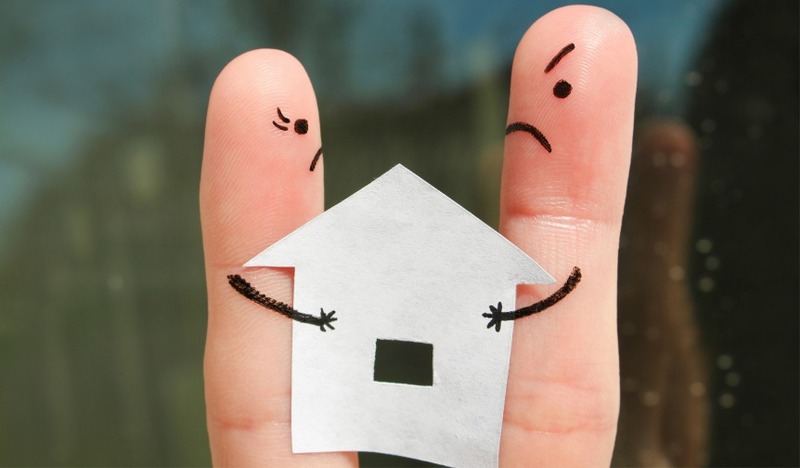 If you are considering divorce, what aspect of financial uncoupling is worrying you most? This is a guest contribution by Mary Waring, Managing Director of Wealth for Women Limited. All views expressed here are Mary’s own and not necessarily those also shared by Which?. People contantly in the limelight often can’t do right for doing wrong in the eyes of some. Hey ho. In the eyes of others, the terminology will indeed “articulate the importance of achieving a holistic, amicable, financial and emotional settlement when two previously-joined people go their separate ways”, and will give them food for thought. We only have to recognise that it won’t always be easy or possible. Sometimes couples just aren’t in that place and never will be. A long time ago my “ex” (we weren’t married) and I went our separate ways and parting was amicable, including financially. We broke even when we sold the house, we each got what we put in without quibble, and we split the rest equally. We had an endowment which we decided to keep going until it matured (c3 years ago) because otherwise we would lose money. We kept our joint account going solely to put money in and to pay for the endowment. We made a little money on this endowment, incredibly, and we split it equally again, after which we closed our joint account. We were generous with each other when it came to splitting the furniture and other things we’d bought in common, and gave each other quite a lot that was individually ours that we knew the other one would like. You get what you put in (although not always), but we both know we are very, very lucky.